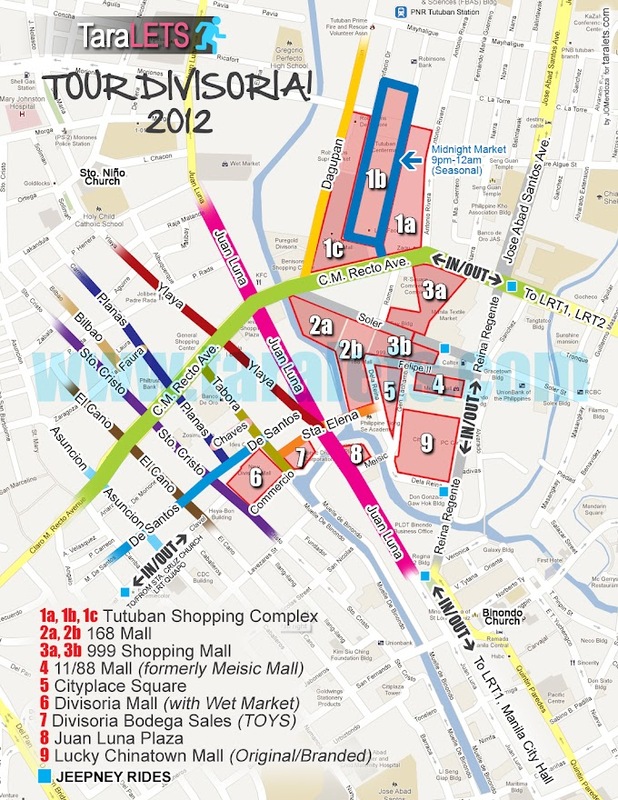 The All-Season Holiday Destination within the city. An integrated resort facility with marine life attractions, themed hotel with entertainment and lifestyle facilities, the park can now be considered as an all-season, all-weather holiday destination for locals and tourists. Definitely a venue for all ages to enjoy. Lush tropical paradise is found in the Oceanarium, home to 10,000 marine life species indigenous to the Philippines and Southeast Asia. Its 25 meter long, 220° curved walkway tunnel provides a stunning underwater view of these amazing sea creatures. Enjoy an indoor, boat trip in Glass Bottom Boat Ride for a closer view of the marine species. If you prefer a close-up interaction with the rays and fishes, the Aquanaut Voyage is your best option for a thrilling encounter. The Jellies Exhibit where the colourful jellyfish varieties can be found is also an attraction to behold. Then, there's the Fish Spa to experience a unique way of rejuvenating your tired feet, or family bonding becomes more exciting with the indoor and outdoor swimming pools. 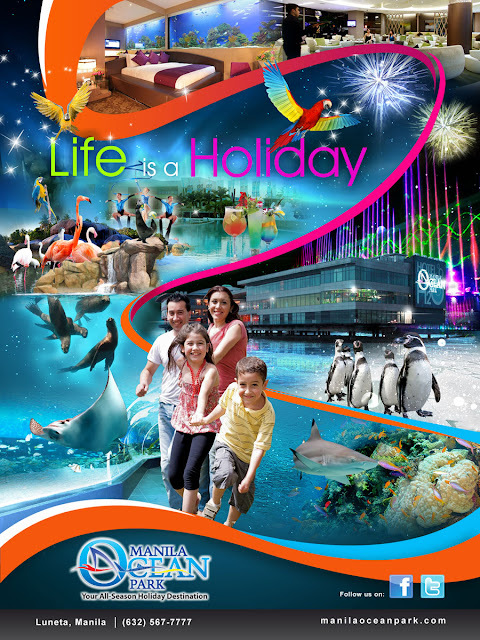 Manila Ocean Park is also home to some of the world's most exciting shows like the Sea Lion Show, All-Star Bird Show, Day Fountain Show and the spectacular Musical Fountain Show. All-Star Bird Show is a highly-entertaining bird show featuring the most beautiful and intelligent winged creatures as they perform amusing tricks and smart stunts. Feel the winter chill in Trails to Antarctica, our newest attraction that offers a freezing temperature at -15° in Snow Village. 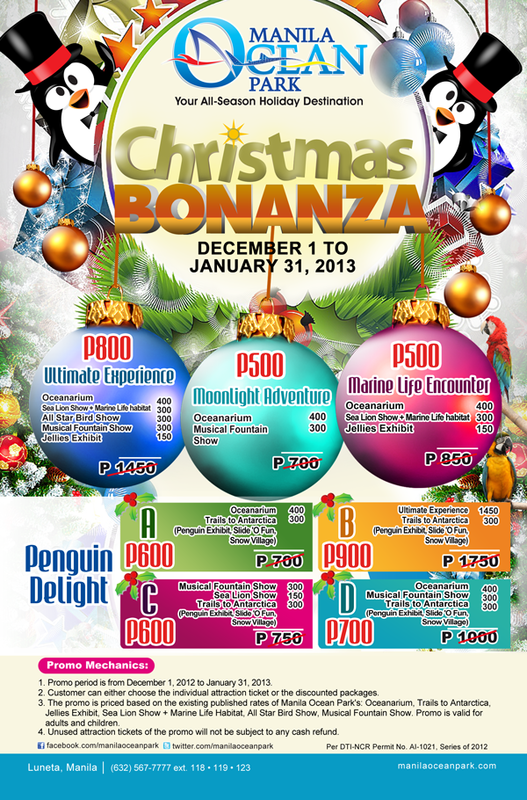 Take a ride on Slide o 'Fun, the 42 meter long ice slide before you get a glimpse of the Penguin Exhibit. It is home to Humboldt penguins - see them toddle, swim and eat with gusto. Have a lively conversation with Hamboo, the first penguin digital puppet in the country. It's real-time interaction with an animated character in the Penguin Talk Show. Come and experience a fusion of South East Asian cuisine at Makan Makan Asian Food Village. Enjoy a merry mix of flavors with a world-class sunset view. Unwind at Liquid Pool and Lounge with its signature drinks and indoor pool setting. See the best bayside scene at Whitemoon Bar and groove to the latest sounds. Have a relaxing stay at Hotel H2o, a member of World Hotels – the largest and most established Europe-based global hotel group for independent and regional hotels with strong emphasis on properties with character and distinction. It has 147 rooms and suites, highlighting aqua-themed rooms and panoramic views of Manila Bay. Zenyu Eco Spa is a unique facility that pioneers negative ion hot bed treatment from Japan. Negative ions are free air molecules that help stabilize the effects of free radicals which caused major diseases. The spa also offers the first fish spa jacuzzi in the country. 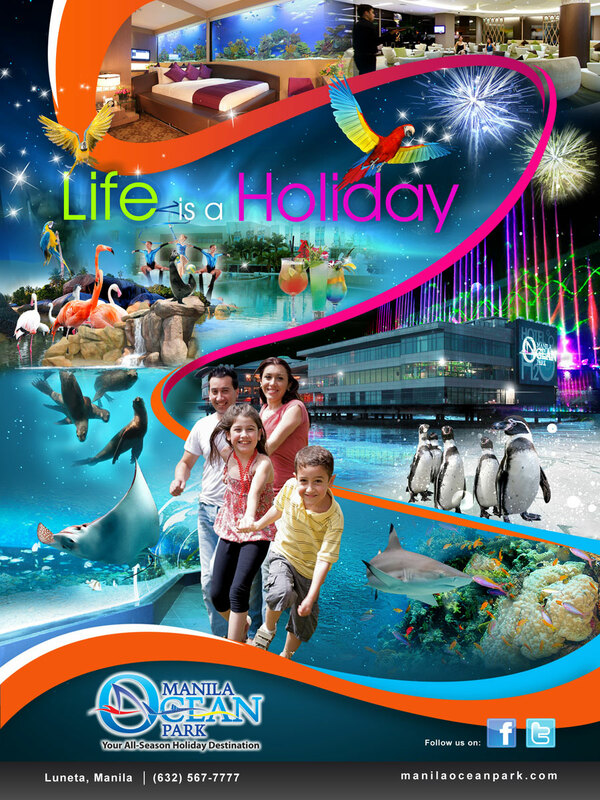 Visit www.manilaoceanpark.com for more details.